Fingerprint readers are gaining widespread acceptance in all fields. 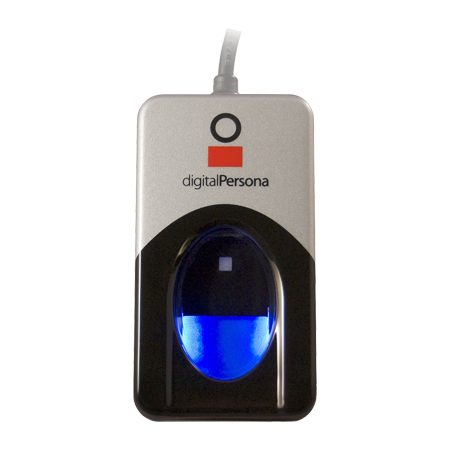 Optical fingerprint sensors are becoming more economical with every passing day. With advancements in digital fingerprint reading devices, fingerprint based biometric access solutions are poised for an inflection point event. How does a fingerprint reader work? 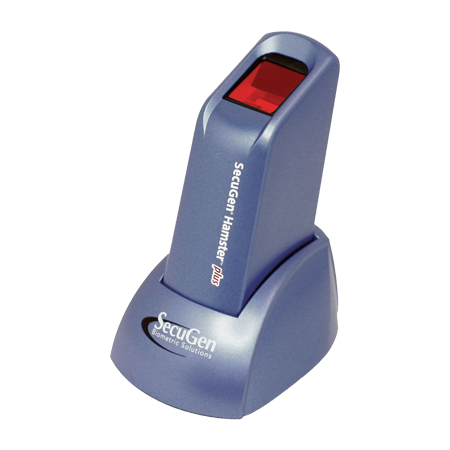 Primary objective of a fingerprint reader or scanner is to produce biometric templates for fingerprints presented to it for scanning. It first captures a digital image of the fingerprints which is known as a live scan. This live scan is then digitally processed to produce corresponding biometric template. Biometric templates are what a fingerprinting solution works with when a fingerprint scan is presented to it for a match. There are a variety of fingerprint sensors in use today which use different technologies for capturing fingerprint images. The technologies used include optical (the oldest), ultrasonic and capacitance-based (used in iPhone 6) fingerprint sensors. Let us now take a look at how fingerprint readers are being steadily adopted in all walks of life around us. This will give an idea as to how biometric fingerprint access control is going to become a de-facto identity authentication mechanism in the coming days. Traditional Identity cards are set for a major downgrade to obsolescence. Organizations are realizing that fingerprint based access control is way more effective than traditional identity cards in both enrollment and operational conditions. With fingerprint readers installed at entry and exit for employee authentication, fingerprint-based swipe-in and swipe-out mechanisms in office are getting integrated with timekeeping and attendance management systems. Such systems eliminate buddy punching and proxy attendance which have been traditional headaches for Human Resource departments. Thus the overall efficiency of employee access, authentication, timekeeping and attendance is improved while the convenience is much more for employees as well as they no longer need to carry identity cards with them everywhere in the office premises. Law enforcement is undergoing a technological revolution globally. One of the technologies which is at the forefront of this digitization effort is the use of biometric fingerprint readers to uniquely identify individuals. Biometric fingerprint readers are not only favored due to their ability to capture fingerprints, but also because they can match those prints with recorded data and identify the perpetrators of a crime. An increasing number of police and forensic departments now prefer to carry mobile fingerprint readers to the scene of crime in order to speed up investigations. Apart from using fingerprints to catch criminals, law enforcement agencies are also realizing the importance of fingerprint-based access control in restricting access to confidential and sensitive data. One of the easiest modes of restricting access to the computing machines used by the police department is via portable USB fingerprint readers. 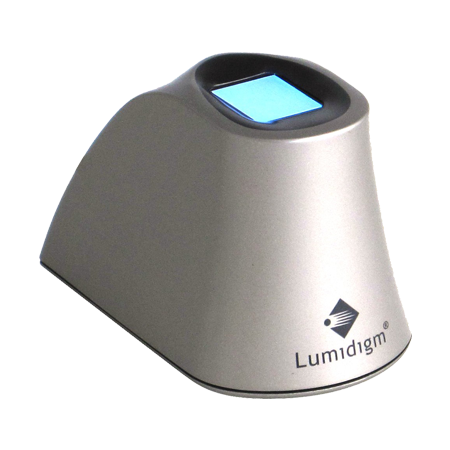 Once the USB fingerprint reader is enabled, only those with pre-configured access can obtain the data. This not only helps safeguard the sensitive records from theft, but also regulates the amount of information an individual can view. Use of fingerprint scanners for determining the authenticity of a would be employee can help detect persons with criminal record and prevent identity fraud. Once the subject’s fingerprints are scanned, they can be compared with various online databases containing biometric information of candidates such as citizenship records and police records to obtain his correct background details. Such a fingerprint based system will shave off weeks from the tedious manual or call-based verification being followed at most of the background checking organizations. Medical institutions have immense use of fingerprint-based access control, even more so in departments such as geriatrics. Geriatric hospitals and homes cater mainly to the elderly. Many of these elderly patients have age related illnesses such as dementia, Alzheimer’s disease and related illnesses which makes them susceptible to memory loss and subsequent mindless wandering-off from the premises. Hence it is important to control access and automate attendance of such patients. Biometric fingerprint readers installed at entry and exit locations can uniquely identify such patients when they try to exit and raise an alarm. Apart from the patients, fingerprint-based access control can be used for resident doctors, staff and even visitors who can be enrolled using fingerprint readers at the reception. Hospital staff can be granted different levels of authorization than the resident doctors. Visitors will have only select access to few public or private wards as per the purpose of their visit. Hospitals will need to store the authorization information in a central server. Then by putting fingerprint readers at the entrances of all areas which require prior authorization, and connecting these fingerprint readers to the central server, authorized entry can be enforced in a straightforward manner. Now that USB fingerprint readers are also available, setting up such advanced security systems in hospitals has become all the more hassle free and easier to operate. Fingerprint readers and fingerprint-based attendance systems enable both patient security and information security. Retailers have to deal with many concerns over security and identification and one of those issues is the security of their point of sale(POS) systems. These POS systems store a lot of sensitive information such as customers’ personal details as well as business information such as sales figures, costing, clientele, profit margins etc. Such information is sensitive to a company’s finances and integrity. It is important for every organization to keep this information secured using access control. Traditionally, every retail shop used to provide its worker with a unique identification code or pin. Instances of stolen or altered passwords have cost companies huge losses as a typical point of sale system is susceptible to intrusion. For this reason, many retail establishments are now adopting biometric fingerprint-based devices that efficiently and seamlessly identify employees. Fingerprint scanners are being incorporated into a lot of retail software and point of sale hardware from the design stage itself. School children can be quite naughty and can possible damage the fingerprint reader. 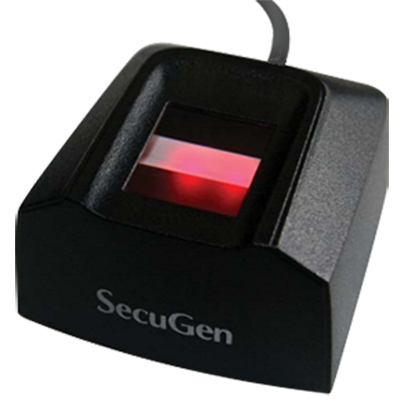 Devices such as Secugen Hamster Plus fingerprint scanner, with their hard covering and thickened crown glass, will easily be able to withstand such rough usage. With biometric security devices there is no cash involved which will reduce mishandling of money by children. Fingerprint-based access devices can regulate access even if the children forget their identity cards or individual passcodes. Fingerprint scanner can be installed at the start of the lunch queue. It needs to be ensured that only after swiping their fingers and confirming their identity the children are allowed to join the queue. Attaching a biometric security device in the school premises will enhance security and discipline. The fingerprint devices store the fingerprints in the database in template form using an algorithm. Thus the probability of students’ fingerprints being hacked into and misused is completely ruled out. In gyms and fitness centers a fingerprint-based authentication system increases convenience as members do not need to carry membership cards and keys, and then risk losing them. Just their fingerprints are enough to prove their identity for gaining access. A fingerprint-based door lock in the gym allows the gym to potentially stay open for 24 hours. People can come and work out any time of the day or night, even when the staff is not present. This increase in business can easily compensate for the cost involved in setting up fingerprint readers and supporting servers. To authenticate themselves for gaining entry, every member is required to place his or her finger on the fingerprint scanner and then enter a 10-digit code. The combination of their fingerprints and code together allows access to the center. The whole authentication process takes a few seconds and is user friendly as opposed to using physical cards. Fingerprint access control can also be extended to locker access in gyms making locker handling much more convenient. When the members use their fingerprints to gain entry, this access information is logged in the security database. Integrating the security database with gym’s attendance management application, staff as well as member attendance and timekeeping can be automated. This integrated system can then be programmed to check for expired memberships and sound appropriate alarm when such a member presents his fingerprints for gaining entry. Fingerprint readers based access control can greatly enhance the overall experience of the members. It also helps the management in managing the overall operations of the gym and looking after its members in a more efficient way. After a fun-filled weekend, one thing that invariably adds to the Monday morning blues is the prospect of queuing up for transport to work. Waiting in line for cabs, counting pennies for the bus ride or waiting for a ticket for your daily train commute are tedious, to say the least. The good news is that your travel woes may soon be a thing of the past, thanks to fingerprint scanners. In case of public transport, these fingerprint scanners can work wonders. Instead of using actual cash or credit cards and waiting in long queues, you can simply swipe your finger against the scanning device. Fingerprint scanners will read your fingerprint and connect to your bank account. Your bus tickets, cab rides or subway passes will be directly charged against your account. This will lead to hassle-free and cashless transportation services. Additionally, use of fingerprints for the scanners ensure that there is no possibility of a fraud and your financial information stays safe literally at your fingertips. Biometric based security is an eco-friendly technology. A huge amount of plastic, paper, ink and energy is consumed in producing plastic identity cards. Fingerprint readers eliminate the need of such cards and reduce plastic consumption and usage. This reduces the carbon footprint of organizations and institutions which switch to them. As an example, a fingerprint reader in hospitals eliminates the need to check the paper credentials of a patient. Every patient when registering for a hospital can give his fingerprint scan along with personal information. For successive visits, the patient’s fingerprint scans are enough to authenticate his entry. Same is the case for gym memberships as explained earlier in this article. Fingerprint readers and fingerprint-based access, authentication and authorization systems are slowly gaining entry into all walks of life. It is just a matter of time before they become a regular facet of our day-to-day life! 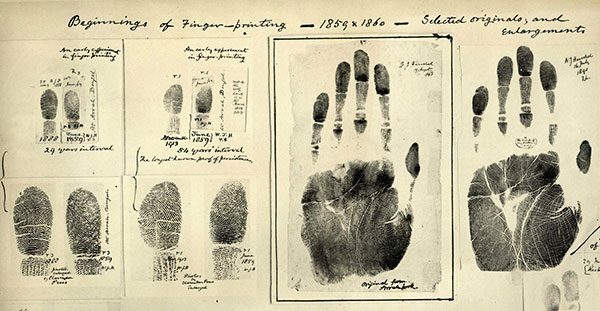 Fingerprints were used for the first time in 1858, by Sir William Herschel, in Jungipoor, India. He asked the local residents to imprint their fingerprints on business documents as proof of signing them. The next major milestone event in fingerprinting took place in the year 1892 when Sir Francis Galton produced a classification of fingerprints of all 10 fingers. He defined the minutiae or characteristics of fingerprints, known as Galton’s details, which are used for fingerprint identification even today. It was in 1896 that the police first started using fingerprints, when Sir Edward Henry and his assistant, Azizul Haque, developed a method of classifying and storing fingerprints in India. Over the years fingerprinting gained acceptance and grew with leaps and bounds especially in the police departments all over the world. Fingerprint automation was given its first major boost in 1969 when FBI pushed for development of automated fingerprinting. In 1975 FBI funded the development of automated fingerprint sensors and minutiae extracting technology via NIST (National Institute of Standards and Technology) in USA. Post this initiative of the FBI fingerprint scanning capabilities grew at a steady pace till the mid-nineties when the graph for biometric fingerprint based technology and tools zooming upwards. The ubiquity of fingerprint scanning has been further enhanced by its inclusion in mobile phones such as the popular iPhone5S in 2013.